Christmastime in the Mediterranean means festive meals with family and friends. This year, try incorporating these Mediterranean dishes into your holiday celebrations. Your guests will be impressed! The Spanish celebrate many festive meals in the days starting on Christmas Eve and ending on Kings Day. Many of the meals feature tapas such as homemade croquettes. Try this authentic recipe for Croquetas de Jamon Serrano fried in olive oil. 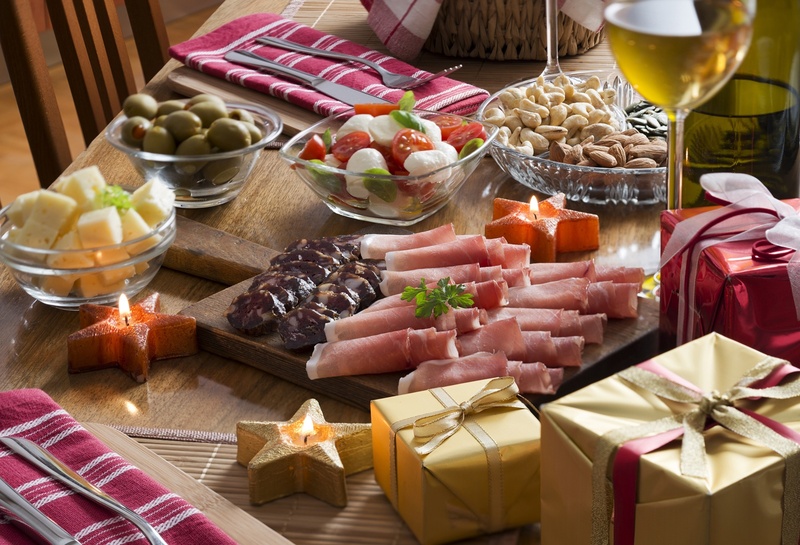 In Italy, Christmas, or Natale, is celebrated with three meals from December 24-26. Christmas Eve is a considered to be a fast day and the meal is meatless. Insalata di Frutti di Mare is an impressive salad featuring squid, shrimp, mussels and other seafood dressed with olive oil and lemon. Cod or Bacalhau is an important part of Portuguese cuisine. This dish, Portuguese Christmas Cod, is traditionally served on Christmas Eve. This dish is easy to make but don't even think about substituting fresh cod for salted cod. The Greek twelve days of Christmas begins at Christmas and continues until January 6th. For a taste of Greek Christmas at home, try making melomakarona - biscuit made from flour, olive oil, and honey and rolled in chopped walnuts. It's not Christmas in Croatia without fritule, or fried fritters. Pronounced free-too-leh, these aromatic treats originate from the historic Croatian coastal region of Dalmatia. Traditionally, they are made with Croatian grappa called “loza” but you an substitute other liquors. Delicious!